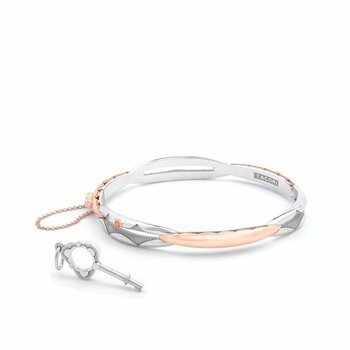 This is The Promise Bracelet. 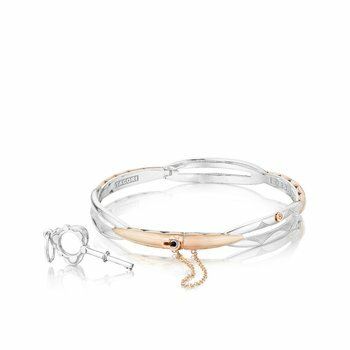 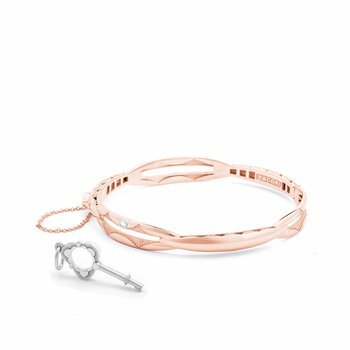 Made of intertwining silver and rose gold, the design represents the unity of a Promise. 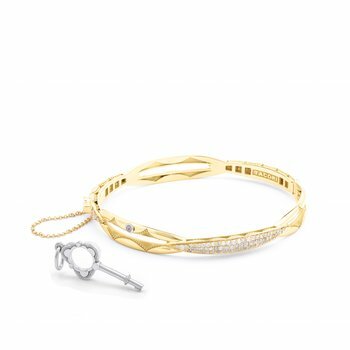 Each golden pillar represents the relationship pillars of love, support and respect. 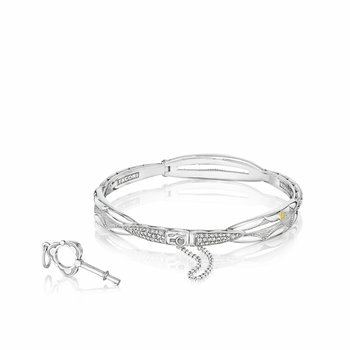 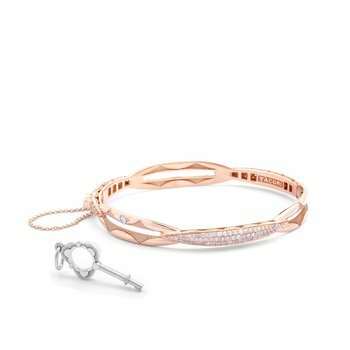 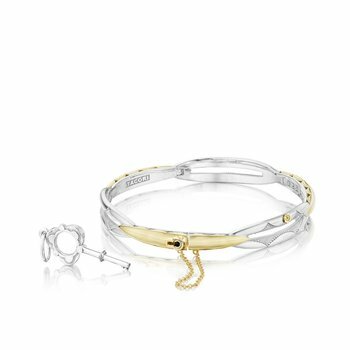 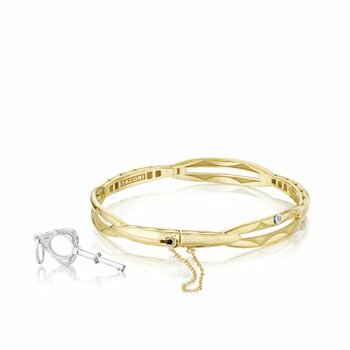 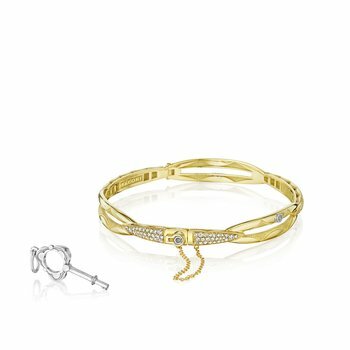 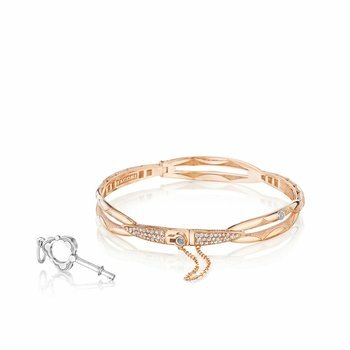 The Promise bracelet must be locked and unlocked with a Tacori Key, which symbolizes the Promise that is made. Once the bracelet is fastened, only the key holder can unlock the Promise.